KUCHING: A senior state minister has questioned why no action was taken against Selangor Islamic Religious Department (Jais) officials if their raid on the Bible Society of Malaysia (BSM) and confiscation of Bibles last Thursday were both unconstitutional and illegal. “If indeed Jais’ raid and confiscation of the Christian Bibles is unconstitutional since Jais has no authority over non-Muslim premises and illegal since they had no search warrant, why no action was taken against the officials who raided the place? “But instead, the persons who had the right to defend their possession (the Bibles) were questioned by the police,” Land Development Minister Tan Sri Datuk Amar Dr James Masing said when contacted. He was responding to a statement by Malaysian Bar Council that the raid on BSM and the seizure of Malay and Iban language Bibles by Jais and the arrest of BSM leaders were illegal and unconstitutional. The Malaysian Bar Council added that Jais, an Islamic enforcement agency, had no jurisdiction and powers over other religions or persons professing other faiths. “Certainly Malaysian laws are blind to colour, creed and race. I urge the authority to act legally without fear or favour. Yang salah kamu tangkap, yang betul jangan kacau lah! (You catch those in the wrong but don’t disturb those who are right),” Masing said. He warned that if this state of affairs continued, Malaysia would have a long way to go in becoming a fair and just society. Meanwhile, Masing, who is also Parti Rakyat Sarawak (PRS) president, called on Malaysians to give Prime Minister Datuk Seri Najib Tun Razak time and space to make his move over the issue. Although not knowing the reason behind Najib’s silence over the week, he believed that the prime minister was silent “maybe for a reason”. “PM (Prime Minister) is silent maybe for a reason. I don’t know why he maintains his silence at the moment. Let’s give him time and space to make his stand on the issue. 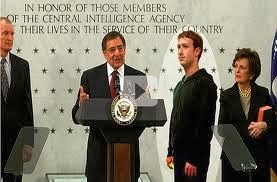 Hopefully, it will be sooner than later,” he said. 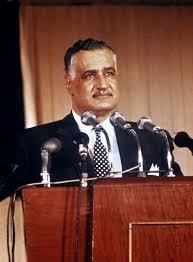 Eventually Israeli MOSSAD assasinated Gamal Abdel Nasser by poisoning. Nasser has been fighting Israel from the beginning. Upon replacing the poisoned Nasser as President, Anwar Sadat begun to stop fighting Israel and eventually signed a ceasfire treaty. Menegur untuk mengubah perangai buruk? An insult to Johor Sultan? PETALING JAYA (Dec 29, 2013): Is returning awards without being asked to tantamount to contempt of honour and an insult to a ruler? This was the question asked when former Johor Corporation (JCorp) president and CEO Tan Sri Muhammad Ali Hashim (pix) returned three state awards to the Johor palace last week. Muhammad Ali, who is Malaysian Islamic Chamber of Commerce president, returned the Setia Mahkota Johor, Darjah Datuk Paduka Mahkota Johor (DPMJ) and Darjah Datuk Seri Paduka Mahkota Johor (SPMJ) on Friday. The DPMJ and SPMJ, which carry the title Datuk, were conferred on him by the late Sultan Iskandar Sultan Ismail in 1984 and 1996 respectively. "The bestowal of honours is the sole privilege of the sultan … if the sultan recalls the awards through the Council Secretary for whatever reason, they (the titles) have to be returned," said former information, communication and culture minister Tan Sri Dr Rais Yatim. Rais, who is adviser to the government on social and cultural affairs, said returning an award when it has not been revoked or recalled, can be construed as an act of overt disrespect and interpreted as an insult to the ruler. Meanwhile, constitutional law expert Prof Dr Shad Saleem Faruqi said while it would indeed be regarded as "impolite and disrespectful", it is not an offence under the law. He said the act of returning an honour "is best evaluated under customs and not under the law". "The formal law is silent on the matter. There is no offence in the Penal Code for such conduct," he replied in an email when asked to comment on the issue. "In customary practice, a person – both in Malaysia and in the United Kingdom – can decline a royal honour. However, to return it after receiving it would indeed be regarded as impolite and disrespectful under traditional norms. Shad Faruqi stressed however that customary norms are not enforceable in criminal courts, and "Les Majeste" – treason committed against a sovereign power – is not an offence in Malaysia, although sedition is. In a statement on Saturday, Muhammad Ali said the decision to return the awards came after he had written a letter to Johor Royal Council Secretary Datuk Abdul Rahim Ramli on Dec 18 to offer an explanation on his article "Menuntut Hak, Menebus Masa Silam", published in Sinar Harian on Dec 2. 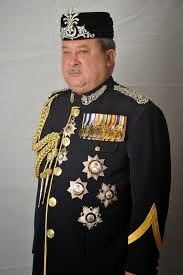 Abdul Rahim had said the article's contents could create a negative perception of the Johor royal institution and the Johor ruler, Sultan Ibrahim Sultan Iskandar. 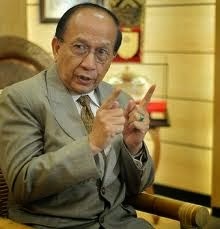 Muhammad Ali said he had no ulterior motive or intention to portray a negative image of Sultan Ibrahim in the article. "My services and commitments as the president and CEO of JCorp for 28 years is a reflection of my utmost loyalty, sincerity and respect to Johor and the state monarchy,'' he said. Abdul Rahim could not be reached for comment at press time. Khazanah fires eddy leong for protesting fireflyz closure? Nadi adalah kumpulan syarikat MRO terbesar di Asia Tenggara. Ia telah dibina oleh anak jati Sarawak iaitu Tan Sri Ahmad Johan.